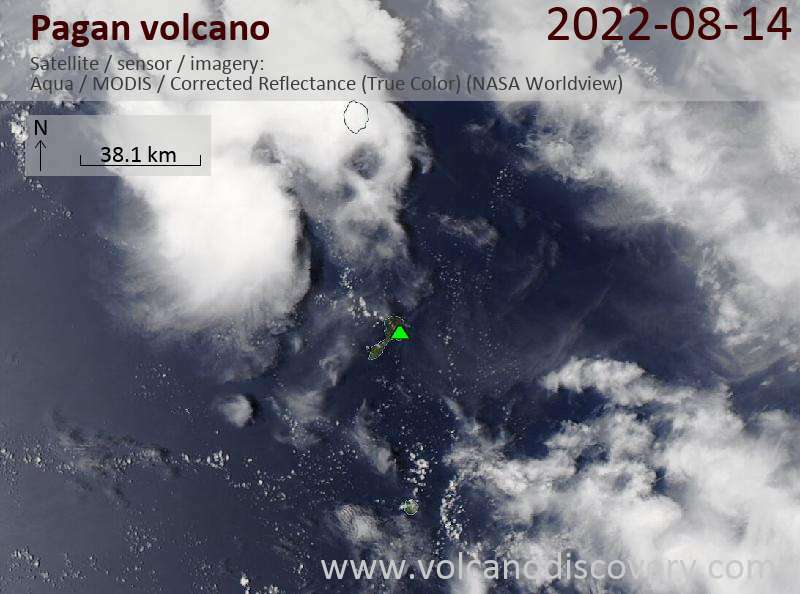 The volcano continues to produce a significant steam plume visible on satellite images, and a hot spot above the volcano was detected by MODVOLC yesterday (for the 6tth time in 2012). There are no reports of other eruptive activity.  MODVOLC detected a hot spot at Pagan volcano yesterday, the first time since August 2012. According to USGS, the volcano continues to show only steaming, but it cannot ruled out that the new thermal anomaly might be caused by near-surface lava. Steam and gas plumes, at times extending more than 100 miles downwind, were present throughout the past week. USGS received no further reports of unrest or activity at Pagan volcano. Minor steam and gas plumes continue to be observed in satellite images during clear periods throughout the past week. The USGS received no further reports of unrest or activity at Pagan volcano. Minor steam-and-gas plumes from Pagan were observed in satellite images during clear periods from 20 to 27 July. Minor steam-and-gas plumes from Pagan were observed in satellite images during clear periods from 6 to 13 April.